ESB Dublin Bay Power Plant, formerly known as Synergen, is a Combined Cycle Gas Turbine (CCGT) power generating station consisting of a single shaft configuration with one Alstom GT26B gas turbine, one Stork horizontal flow heat recovery steam generator (HRSG) boiler and a three stage Alstom steam turbine with intermediate reheat. The gas turbine has duel fuel capability and can operate on both Natural Gas and Distillate Oil. The plant was commissioned in 2002 and has been primarily in operation as a base load plant. 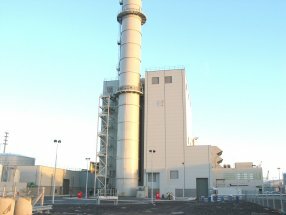 A major overhaul of the power plant was undertaken in September 2016. One of the Health and Safety requirements for the overhaul project was for 24×7 emergency response cover during the 2 month project. The scope also included the active involvement of the ERT services in the support of the entire safety effort at a time when the numbers of personnel increased from an average of 30 to over 300 personnel on site. Chris Mee Group have provided customised Stand-By ERT Services for a variety of industry sectors including state bodies, Pharmaceutical, Oil & Gas, Energy, Utilities, Marine, Manufacturing and Food & Drink. Clients include Henkel, Glanbia, Almac, Atkins Global, The HSA, Sigma Aldritch and Leo Pharma among others. Chris Mee Group also provide advanced Marine STCW and Fire & Rescue Training to many shipping and offshore companies such as Stena Lines, Commissioner of Irish Lights, Kinsale Energy Offshore (formerly Marathon), Shell and many more. Chris Mee Group supplied a team of eight emergency rescue personnel to the Ringsend site working on a four shift cycle covering 24/7 for over the entire 44 days duration of the project. A minimum of two rescue personnel were on site at any one time with more available on call depending on site requirements. 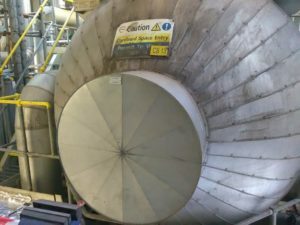 The Chris Mee Group rescue personnel carried out required task specific risk assessments for use within the various confined spaces. Chris Mee Group also supplemented the fit out of both the Rescue Centre and First Aid room with equipment such as radios, BA sets, Harnesses, Tripods and a vehicle to carry rescue equipment and speed up response times. 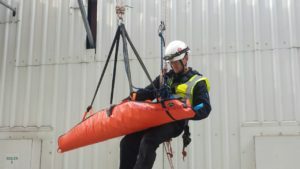 The Chris Mee Group rescue personnel liaised with the local authority emergency services and adapted to their norms of practice at all times. They also carried out evacuation and rescue exercises with the local authority emergency services during the project. The Chris Mee Group personnel were also available to provided relevant safety advice, mentoring and training during the project including: CPR/OFA (Observers/Permit Access), Manual Handling, Confined Space Entry, Working at Height and SafePass training. 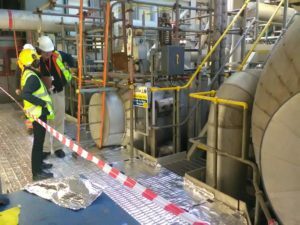 Chris Mee Group personnel also reviewed fire watches and hot work location and carried out routine checks of fire points and ventilation systems. With all of these services managed by Chris Mee Group the two ESBI on site safety officers were free to focus on managing and co-ordinating the overall site safety for the Project Supervisor Construction Stage (PSCS). Emergency Response Teams – Stand-By Services For Hire. EMAIL OR CALL US NOW !